On 28 November 2015, Brenda Evers and her friend Janice birded Howe Island Island. Janice took a bunch of photos of hawks and saved them to disk format and sent the disk to my house a few weeks later. 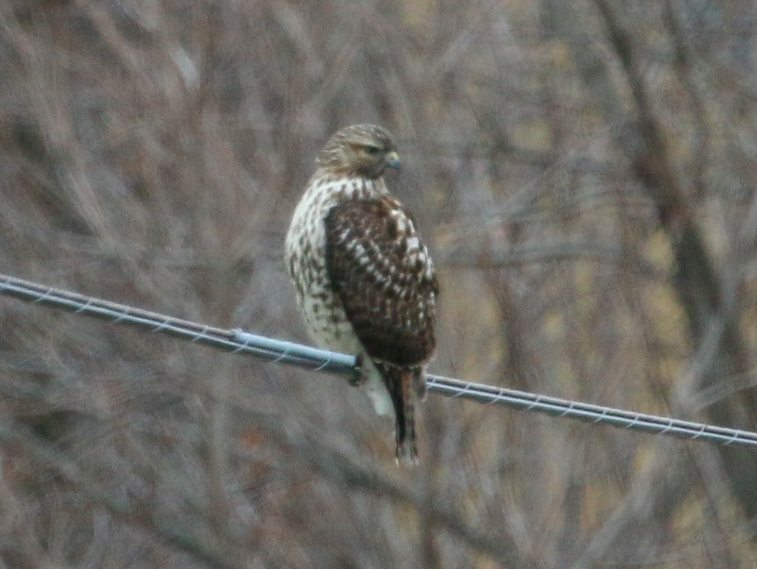 I was enjoying going through the photos and came across one that caused me to pause and struck me as “off”: it was a juvenile Red-shouldered Hawk that I felt had the proportions of a Red-tailed Hawk. Importantly to my eye, the “face” was the face of a Red-tailed Hawk but best of luck to me explaining that one! I put together a detailed summary of plumage characters and sent an email to Jerry Ligouri and Frank Nicoletti. They both felt it that they couldn’t say for certain, esp. since it was juvenile bird. 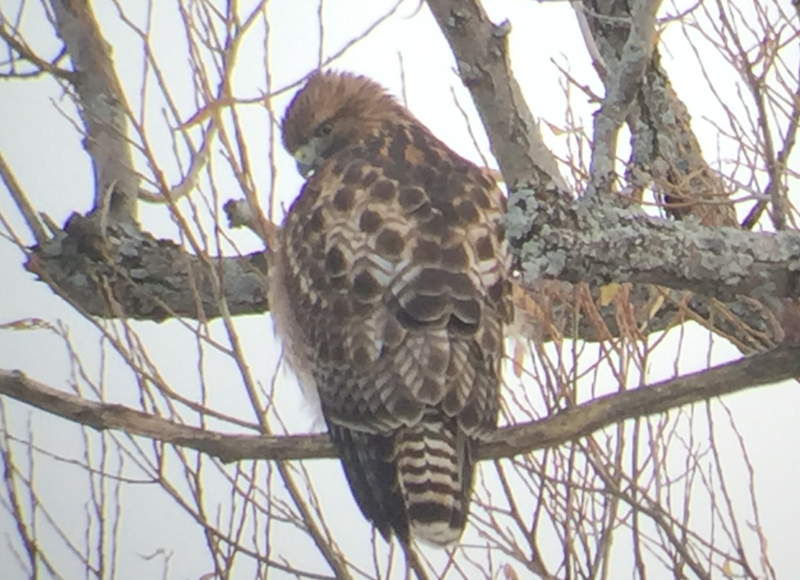 I had to let it go…and, I did, but a whisper of a thought occurred to me from something I’ve come to appreciate in tracking Northern (abieticola) Red-tailed Hawks: winter territory! Birds of prey are often quite faithful to wintering grounds and often one can track the same individual year after year by careful examination of plumage “fingerprints.” I figured the bird may be faithful to Howe Island and/or the adjacent area and I would keep an eye out for it if ever in the area in November/December. Late this afternoon I received a note from my birding friend, Andrew Keaveney. 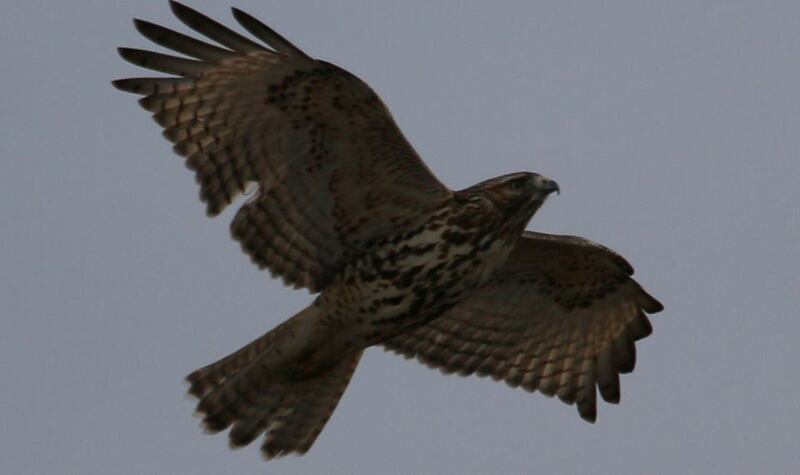 He mentioned he had photographed a neat looking Red-tailed Hawk. We reviewed the pics together and traded emails. All signs were pointing to hybrid Red-tailed x Red-shouldered! Figure 1: A back-on view of the hybrid Red-tailed x Red-shouldered Hawk. Some features of note, from head to tail, are: The nape, shoulders and mantle feathers are outlined with rufous; the upperwing coverts (visible on the left wing) are strongly “checkered” and the tail on this (likely 2nd year) young adult bird is off the charts for Red-tailed Hawk. Thick black ancillary banding and a very broad, black subterminal band. The GISS is also intriguing to my eye. I find Red-shouldered have an irregularly large head and ‘hunched’, thin shoulders from certain angles and to me, this shines through as a “gut” feel on the bird in this photo. Figure 2: A closer view, detailing the same features as mentioned above. Figure 3: An underside view of the hybrid. From head to tail: The rich reddish head has a sharp, rising forehead and is lightly crested. The head is tilted sideways, availing a nice view of its proportionately dainty bill. 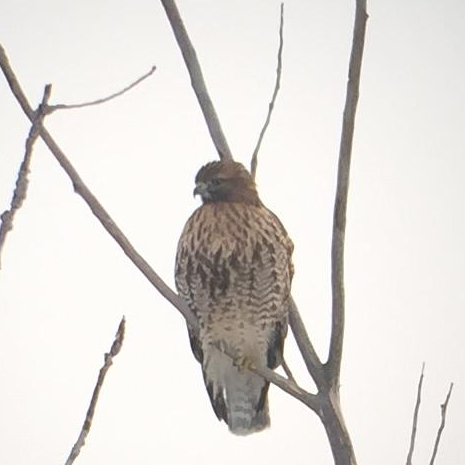 Red-shouldered have an even smaller bill than Broad-winged Hawks so undoubtedly if one should hybridize with a Red-tailed Hawk, the bill is likely to be noticeably small. Note the distinctly orangish bloom to the chest with an overlay of reddish-orange vertical streaking to upper chest extending down to the belly band. The belly band is as per Red-tailed however we noticed the streaks were quite extensive and became extensive dark, horizontal bars along the lower belly. 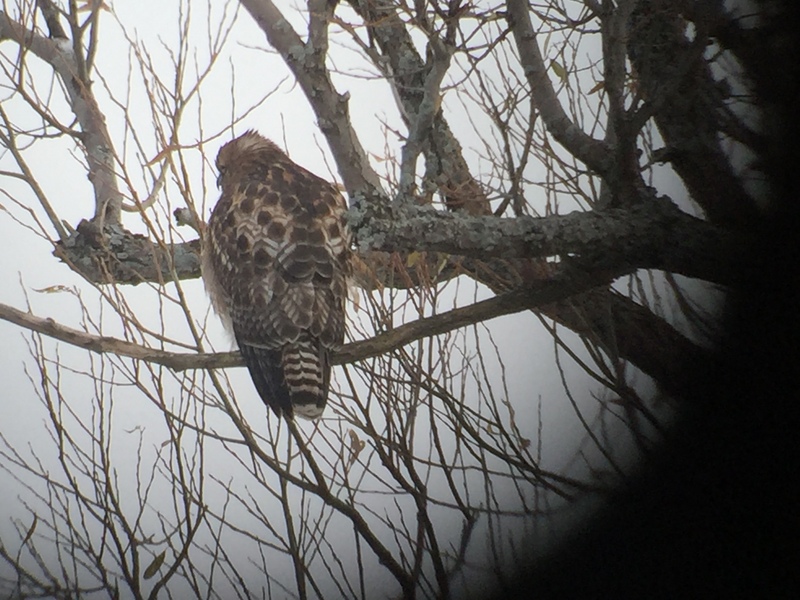 The extent of the hoizontal barring is perhaps an interesting reflection of its Red-shouldered Hawk parentage. The unique tail pattern consisting of many bars and a thick subterminal band can be seen by viewing the underside of the tail. I sought expert opinion on the ID and sent the photos to Jerry Liguori and he confirmed the bird is a hybrid Red-tailed x Red-shouldered Hawk. Many thanks to Brenda, Janice and Andrew for allowing use of their photos in this blog post. 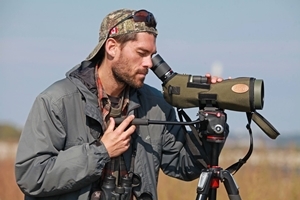 Thank you to raptor expert, Jerry Liguori, for weighing in on the ID of the bird.